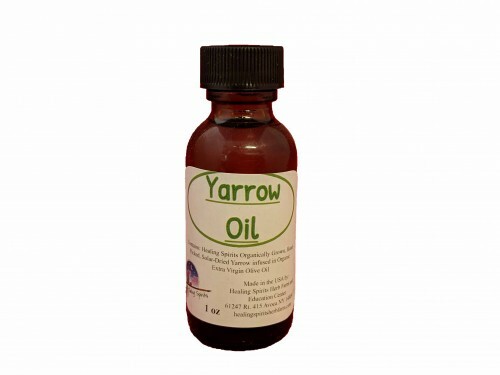 Yarrow has a long history of use for healing bruises, wounds, swellings, strains, sciatica, rashes and skin irritations. Can be beneficial to the nervous, genito-urinary and digestive systems. Made with: Healing Spirits Organic Yarrow Flowers solar infused in Extra Virgin Olive Oil.